Wind on my Face (“Vento no Rosto,” in Portuguese) is a book created by children with messages for adults. 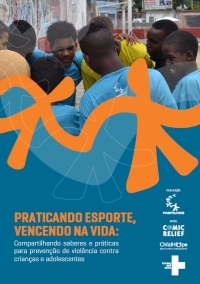 The story was created by 12 boys and girls between 6 and 13 years old from the community of Maré, in Rio de Janeiro, through the Oswaldo Cruz Foundation’s Sport, Culture, and Citizenship project. 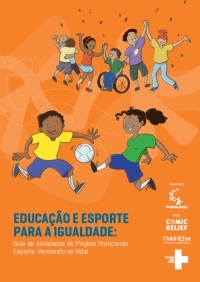 The book was developed by Promundo and funded by Save the Children, with the goal of giving children the ability to voice their thoughts about how they can be educated without the use of violence. The book is part of Promundo’s effort to stimulate the debate on alternatives to education without the use of physical and humiliating punishment.